I’m an amateur photographer buying my first DSLR. I don’t claim to be an expert but I have spent many hours researching and I’ve decided to share all the useful information that I’ve turned up in the process. This post is centered around the Nikon D5000 which ultimately was my first choice. Comparing entry level DSLRs can be a daunting task. Here are some of the best choices on the market right now. Most if not all of these cameras are highly recommended by dpreview.com and other reviewers. Prices based on current street prices for new camera with kit lens (as of Dec 3, 2009). * You might assume that a higher number indicates a better model but that is not always true. It seems that the camera manufacturers like to keep us on our toes. Nikon and Canon are the top two brands today. The general consensus is that Nikon and Canon both make excellent entry level DSLRs and you really can’t go wrong with either brand. Most people recommend that you go to a large store where you can demo the specific cameras, hold them in your hand and see which one you like better. Since I’m in NYC, I went to B&H where they have all the new cameras available to demo. They don’t have memory cards in them but you can still power them on, take pictures and see the preview in the LCD screen. My impressions were that the Nikons seem to have better build quality and ergonomics compared the Canons. The grip was definitely more comfortable in my hand. For what it’s worth Nikon’s shutter also sounded quieter and more refined. Either can be tweaked to look a bit more like the other but that involves some degree of difficulty. For example, you could take pictures in RAW mode which would allow you to adjust the sharpening level, contrast and saturation settings, color temperature / white balance, and so on. However, this would probably be a burden for a lot of people, particularly first time DSLR owners. YouTube has become an invaluable consumer resource for video reviews of all sorts of products. Cameralabs.com has a great video review of the D5000 here. Gizmodo always seems to prefer Canon because they’re more “gadgety” which isn’t surprising since they are a gadget site. In this case they picked the canon by a nose mainly because of “the video and the better Live View focus technique, as well as the slightly better high-ISO performance.” These are certainly valid points if those features are important to you. But in looking at those sample shots I prefer the pictures from the Nikon. Picture quality is my top priority and in my eyes the Nikon’s pics look more life like with superior exposure and color tone. Keep in mind that the Nikon is also about $80 cheaper right now. Bracketing – The ability to automatically take 3 shots with 3 varying exposures. This is very helpful for creating HDR images. 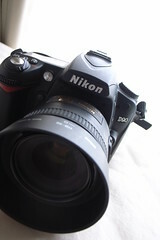 Movie mode – People have commented that the movie mode is actually smoother on the D5000 than the more expensive D90, which was Nikon’s first DSLR with movie mode. Intervalometer – This is an interval timer which can be used for time lapse photography. Vari-angle viewfinder – The D5000 is the only Nikon DSLR with this feature. It was not a big deal for me but it will probably come in handy for self portraits and shooting over crowds at concerts or parades. Size-wise the D5000 is a little bigger and heavier than the D3000 but still smaller and lighter than the D90. 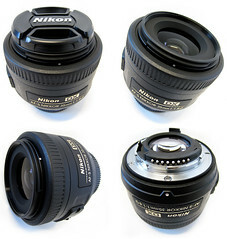 A better kit lens – the 18-105mm Nikkor lens that comes with the D90 has a greater zoom range than the 18-55mm Nikkor lens includes with the D3000 and D5000. The D90 delivers the goods but is it worth the additional $390 to you? The D40, D40x, D60, D3000 and D5000 need lenses with built-in motors to autofocus. Nikon designates these lenses as AF-S. 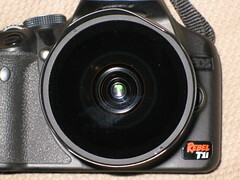 Older AF lenses can still be used but only with manual focus. The D90 and D300 as well as the older D50, D70, D70s, D80, D100, and D200 will AF with any AF Nikon lens because they have an AF motor built into the camera body. This is a big deal for people with a collection of older AF lenses and could be important if you plan on buying older AF lenses used. On the bright side, all the new lenses being released by Nikon are AF-S. Some other manufacturers are making AF-S equivalent lenses as well. Sigma calls theirs HSM (hyper sonic motor) and Tamron calls theirs BIM (built in motor). I personally decided to go with Nikon over Canon because I like the build quality, ergonomics and mostly because I prefer the picture quality. The Canon just didn’t feel right for me, particularly when I held it in my hand. While Canon has a few cheaper lenses I question their durability and most lenses from Nikon are competitively priced. Canon has a few advantages such as in video quality but none that are particularly important to me. I ordered the Nikon D5000 yesterday. Be sure to check the Special Offers listed on the product page. Along with free shipping, I got a free “Nikon School” DVD and camera system case and a free subscription to Wired Magazine with my purchase. It’s wise to buy from an Authorized Dealer in order to make sure that your warranty will be honored and so on. You can check the list here at Nikon’s website. If you’re going to buy the D5000 you should be aware that there was a recall advisory on this model. Recent comments on Amazon suggest that they are already past the affected serial numbers but if you do get a defective camera you should be covered since Amazon.com is an Authorized Nikon Dealer. 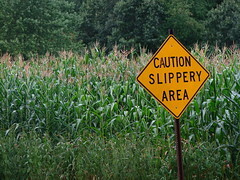 The D90 has had a similar advisory. Google it if you’re interested in that model. Prime Lenses (which are normal fixed lenses as opposed to zoom lenses) are known for having a better bokeh. This entry was posted in Deals, photography by Jason. Bookmark the permalink.